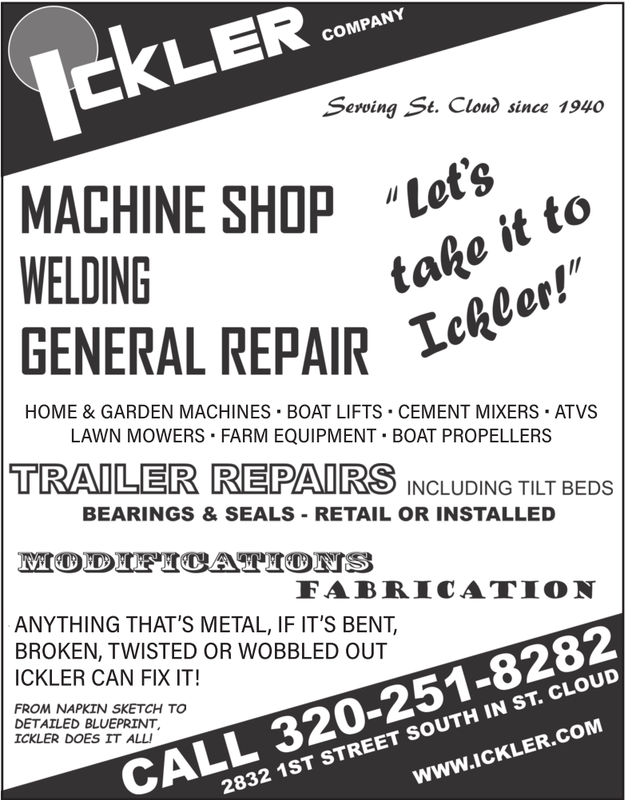 HOME & GARDEN MACHINES • BOAT LIFTS • CEMENT MIXERS • ATVS LAWN MOWERS • FARM EQUIPMENT • BOAT PROPELLERS ANYTHING THAT’S METAL, IF IT’S BENT, BROKEN, TWISTED OR WOBBLED OUT ICKLER CAN FIX IT! ANYTHING THAT’S METAL, IF IT’S BENT, BROKEN, TWISTED OR WOBBLED OUT ICKLER CAN FIX IT! Let's Take It To Ickler!